Bring Your "A" Game Sports Talk! What does success look like for the White Sox in 2019? KD Dropping Hints About Possible F.A. Move. Also Diggin The Hippie Movement Culture In Golden State. Nicky Delmonico sent to Triple-A, but do White Sox need to cut another outfielder to clear room for Eloy Jimenez? New York City hoops legend and former Nets star Kenny Anderson suffered a stroke this weekend and is currently hospitalized, according to former NBA guard Ron Harper. “Let’s say a prayers for my guy [Kenny Anderson] who is [in] the hospital after having a stroke over the weekend. You’re in my thoughts my brother,” Harper wrote of the Queens native. Anderson, 48, played for nine franchises in his 14-year career. 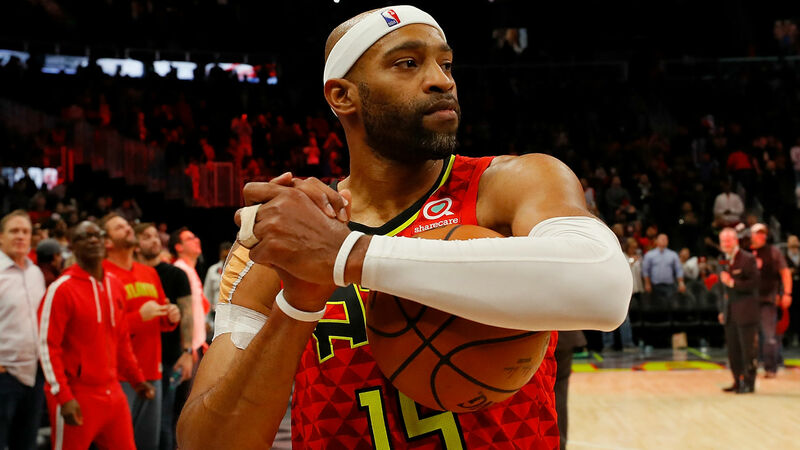 Vince Carter turns 42 years old on January 26th. He is the definition of a veteran, a man who has changed his game so much from his younger days in order to stay in the NBA. Carter has played for eight teams during his career, but many remember him primarily as a member of the Toronto Raptors. Carter played it the first six-and-a-half seasons of his career in Canada, and he was one of the defining players of a young generation entering the league at the end of the 1990s. Carter left Toronto after a tumultuous final run that saw him benched at times, butting heads with Raptors management and coaching. Fans in Toronto have come to re-embrace Carter in the years since his departure, and many seem to hold a soft spot for him. DeMarcus Cousins is expected to make his highly anticipated debut with the Warriors on Jan. 18, sources tell Marc J. Spears of ESPN.com (Twitter link). Golden State will play the Clippers in Los Angeles that Friday night and then take on the Lakers two days later at the Staples Center. Cousins is recovering from the torn Achilles he suffered last season with the Pelicans. He signed a one-year deal with the Warriors with the expectation of hitting the free-agent market again in 2019. The team can only offer him a modest raise on his $5.3 million deal, although reports indicate that Cousins might consider playing on a similar one-year deal during the 2019-20 campaign. Playing with the Warriors will be different for Cousins. The pace and real title expectations are unlike anything Cousins has seen since he came into the league. “They play faster than most other teams. It’s not even about the rust. That’s going to be part of the process. I’m aware of that. It’s about having my body in the best shape possible for an NBA game,” Cousins said last month. Both contracts will pay these players a hefty sum of money into their mid-30s, but that is hardly the worst part of it. Love and Wall have been plagued by injuries during their respective careers, and while neither of them is currently enjoying the money from their extensions, they are currently out of action. Love recently took back a presumed return date and is now noncommittal on a return, as the Cavs now boast the worst record in the league after LeBron James’ exit left them with a hollowed-out roster. Once a double-double machine, Love is no longer the board-inhaling, box-out bandit or the outlet pass king that made him a nightly triple-double threat as a member of the Minnesota Timberwolves. Teams looking to fill roster spots temporarily are now allowed to add to on 10-day contracts. As noted by ESPN’s Bobby Marks, salaries for 10-day deals are based on a player’s years of service and will be either 10 days or three games, whichever is longer. Current teams with open roster spots include the Warriors, Hornets, Pacers, Grizzlies, Heat, Thunder, Sixers, Suns, Raptors and Wizards. Teams are permitted to sign a player to two 10-day pacts and can sign him for the remainder of the season after the second one expires. As Keith Smith of Yahoo Sports (Twitter link) notes, luxury tax restrictions may prevent the Warriors, Heat, Thunder, Raptors, and Wizards from adding a 10-day player. Also, given Monday’s deadline to waive players before contracts become guaranteed. We examined five notable non-guaranteed contract situations that are worthy of monitoring. On Jan. 10, all contracts become fully guaranteed. Following the Pelicans’ devastating loss to Brooklyn on Wednesday night, a defeated Anthony Davis couldn’t hide his frustration to the media. Despite Davis finishing the game with 34 points and a career-high 26 rebounds, New Orleans failed to pull off a victory against a team they should’ve beaten. Sadly, this kind of narrative has been normal for the young star since he was drafted back in 2012. This reality has us all wondering when Davis will call it enough. How long will he keep on losing? How long will he continue to put up with a franchise that has routinely lacked the ability to build and sustain playoff teams? Most think it won’t be much longer and, as Kay Williams put it on ESPN’s morning show “Get Up,” it’s only a matter of time until Davis forces a trade out of The Big Easy. THE FIRST MEETING Toronto Raptors coach Nick Nurse had with Kawhi Leonard came with trepidation. As Nurse walked down the hall from his office inside the team’s practice facility to the coach’s meeting room last July, just weeks after being named Toronto’s head coach, uncertainty loomed large. Nurse had heard that Leonard might not have been happy with his trade destination and that some people within the Raptors organization were less than thrilled that a beloved franchise icon, DeMar DeRozan, had been sent to San Antonio in exchange. It turned out that Nurse had nothing to worry about. When the meeting started, he asked Leonard if he had any questions. The star forward said yes. The rest, Nurse said, took care of itself. It was the moment Leonard’s integration into his new team began. In the months since, Leonard has become the clear go-to guy on a team that has the most wins in the NBA this season. The Raptors also hope it was the moment they can point to as laying the foundation for a years-long relationship with the pending free agent. As soon as they acquired Leonard, the Raptors knew they had plenty of ground to make up to convince him to stay beyond this season. Like the rest of the top free agents in this year’s class — including Kevin Durant, Kyrie Irving and Klay Thompson — Leonard has the prior accomplishments, including a championship ring and Finals MVP award, that allow him the freedom to make the choice that makes him happiest on a personal level this summer. It was no secret that as his time in San Antonio was coming to an end last summer, Leonard’s desire was to return to his native Southern California. Meanwhile, getting a read on Leonard’s thinking — unlike with Paul Georgeduring his first season with the Oklahoma City Thunder — was always going to be difficult. 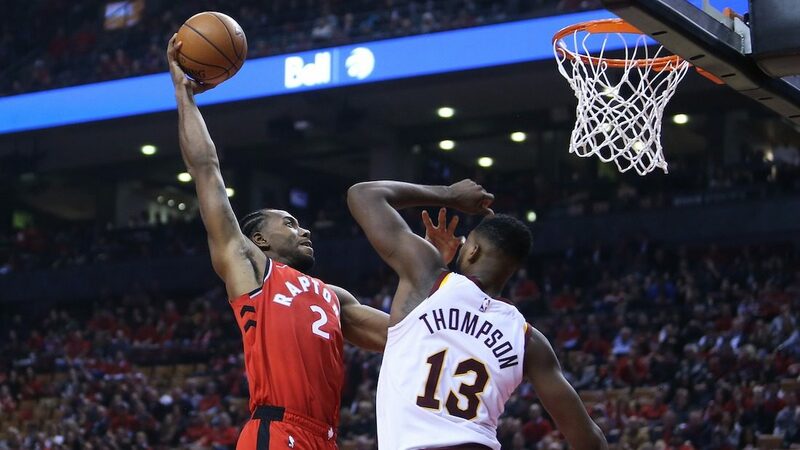 Toronto knew its only legitimate chance to get Leonard for the long term was to trade for him first, then spend the better part of a year selling him on its vision for a shared future — one with the two-way star as the franchise’s centerpiece. FROM THE MOMENT the Raptors traded for Leonard, they began planning for July 1, when Leonard will hit free agency and Toronto will attempt to convince him to remain the face of this organization. The Raptors will point to all of the details, both on and off the court, that they believe tip the scales in their favor — details Leonard will have spent an entire season seeing firsthand. For his part, Leonard declined to say what his priorities will be when he decides where to play next season. “I’m not thinking about that,” he told ESPN. “I’m focused on right now, what this is bringing for me and focused on the opportunity that I have here and what we can do this season. Webster and Raptors president of basketball operations Masai Ujiri are optimistic about their chances when Leonard does make his decision, for plenty of reasons. Toronto won at least 51 games in each of the three seasons prior to Leonard’s arrival and enters Thursday night’s game against the Spurs with a league-high 28 wins. FiveThirtyEight’s NBA projections give the Raptors a 38 percent chance to reach the NBA Finals, something Toronto has never done.